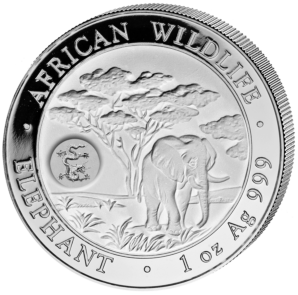 The African Wildlife Coin Series commemorates the characteristic fauna of Africa. 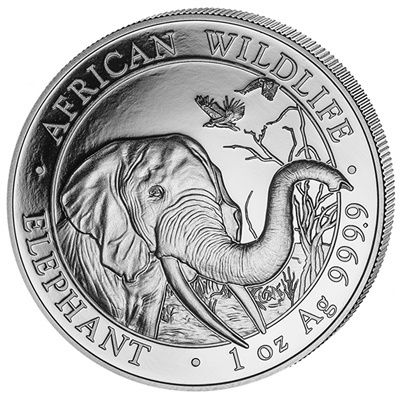 Minted by the Das Bayerisches Hauptmünzamt Mint in Munich, Germany, the Silver Elephant coins were first issued in 2004. 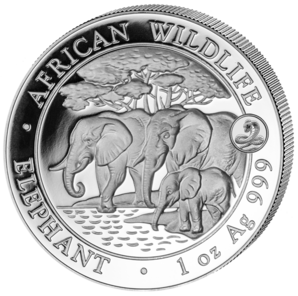 With a denomination of 100 shillings, the German-manufactured 1oz Silver Elephant Coin has begun to attract attention from coin collectors all over the world. 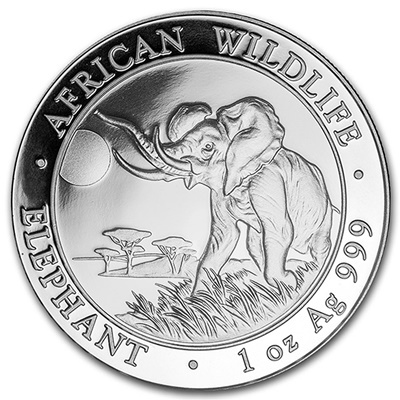 Since 2004, the Somalian Elephant series has continued, gaining in popularity year after year.